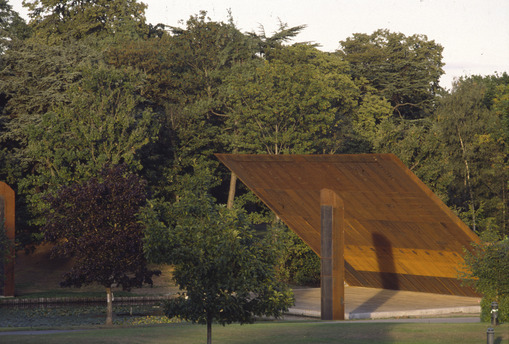 The concert platform is located in Crystal Palace Park that was laid out by Joseph Paxton in 1864 to accommodate the Crystal Palace, originally created for the Great Exhibition of 1851. 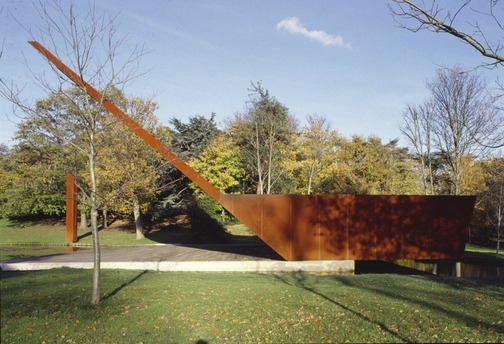 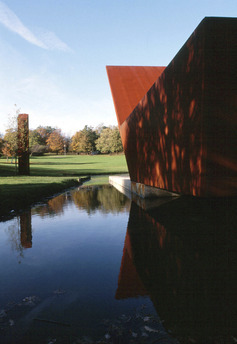 It was designed by Ian Ritchie Architects, who have a great range of environmentally beautiful projects. 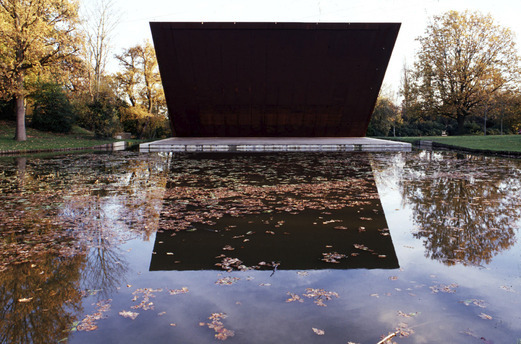 The platform and stage are positioned within a small lake overlooking a large bowl in the landscape that is capable of holding 8,000 people. 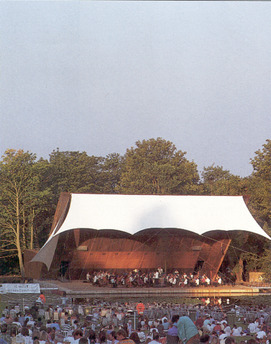 Concerts take place throughout the summer and the platform has the world’s first computer controlled – outdoor active acoustic system. 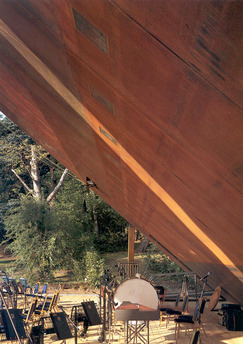 The platform contains a total of 46 speakers; 2 columns either side of the platform contain more speakers plus the amplification system.